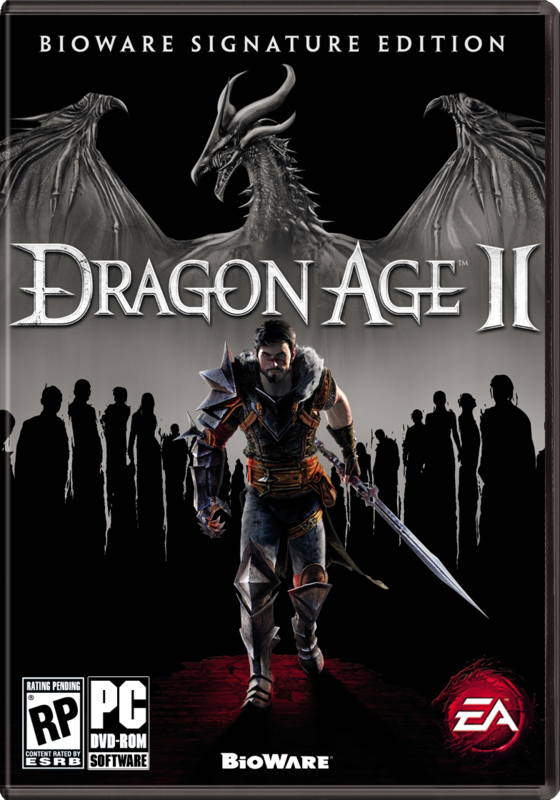 Dragon Age II is a fantasy role-playing video game developed by BioWare, and published by Electronic Arts. 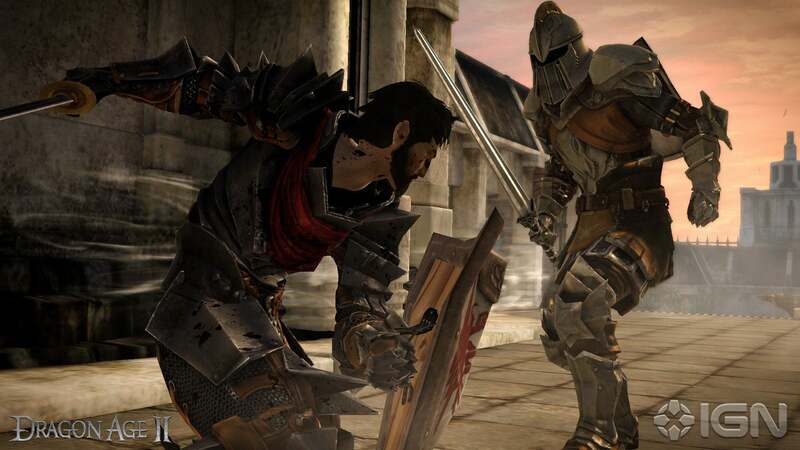 It is the second major game in the Dragon Age franchise. The game was released for Microsoft Windows, Xbox 360, PlayStation 3 and Mac OS X on March 8, 2011 in North America, March 10, 2011 in Australia and March 11, 2011 in Europe. Set in the same mythical world introduced in Dragon Age: Origins, the player assumes the role of Hawke, a human mage, warrior, or rogue who arrives in the city of Kirkwall as a lowly refugee but becomes its legendary champion over a turbulent decade of political and social conflict. Set in the mythical world of Thedas, Dragon Age II tells the story of Hawke, who fled the nation of Ferelden during the events of Dragon Age: Origins and traveled across the Waking Sea to the Free Marches and the city of Kirkwall as a refugee. Within the span of a decade, Hawke would rise in power and influence to become the legendary "Champion of Kirkwall", and the center of events that change the course of Thedas. The story is unfold through flashbacks from the perspective of Varric, one of Hawke's companions who relates the Champion's "true story" to Cassandra Pentaghast, his interrogator. The story is told in three acts; an interregnum of almost three years separates each act from the subsequent one. Dragon Age II has a linear frame narrative, mainly based on the protagonist's choices. Although the player has a great influence on how the story develops, the game's main plot remains unaltered until the very last quest where the player must choose one of the two endings.